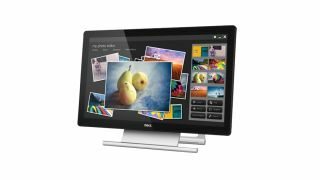 Dell is keeping up its active energy levels in the PC monitor market with the release of three touchscreen panels aimed at homes and offices. The company has enjoyed something of a resurgence in the market this year. According to market watcher IDC, it shipped 5m units in the second quarter, leapfrogging Samsung for the first time in seven years. The 19.5-inch E2014T is the first of the three panels, featuring a 1600 x 900-pixel-resolution HD display toting 5-point touch, a 2ms response time and high contrast ratio of 8 million:1. It also packs an MHL port meaning smartphones and tablets can be connected to the monitor and interacted with using the display. Other connectivity options onboard are DisplayPort, HDMI, VGA and USB. Next up is the P2314T, which ups the size to 23 inches and resolution to 1920 x 1080 pixels. This one gives you full 10-point touch for pawing at Windows 8 (and soon Windows 8.1) with two hands. It's joined by the HD-toting 27-inch P2714T display. According to Dell, both monitors feature edge-to-edge glass and offer ultra-wide 178-degree vertical and horizontal viewing angles that provide an identical visual experience from various angles. That's helped by an adjustable stand on the 23- and 27-inch models that let you tilt them up 60 degrees to interact with the screen, and both can be mounted to the wall using Dell's Single Monitor Arm. The P2314T and P2714T are available now starting at £309 (US$399.99) and £449 (US$619.99) respectively. The E2014T will be available from September 26 starting at £189 in the UK, and is available now in the US for US$229.99. Where are all these high DPI PC displays hiding?